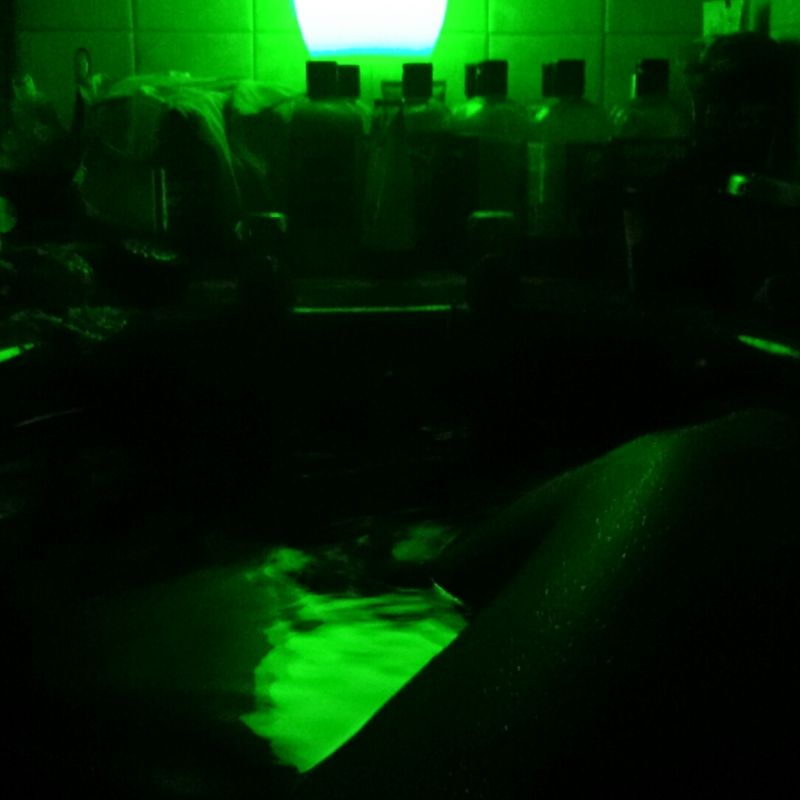 Bathtime Blogging…today green moodlights with a Guardian of the Forest BathBomb from Lush & listening to motown. It’s a good time for magick focused developing psychic or magickal skills. A good time for spells to enhance sensitivity to subtle energy, for deep healing and initiation work. Most people have some level of ability and certain talents will naturally occur as a person works on their spiritual development – often as a consequence of clearing hindering factors rather than consciously seeking growth. Magick is often more a process of “cutting the crap” – those restrictions and impediments that hold us back, than it is a process of development. The intention of the person and their level of consciousness is very individual so there are no hard and fast rules. Everyone’s journey of Self-Realisation is unique. In a very general way, as ego consciousness is replaced (or more accurately, integrated) our capacity for intuition and talents that can manifest as it increases, will grow. And when we accelerate the process consciously, it’s vital to maintain our objective consciousness of we are to truly make any real advances. Self awareness is vital in this process and journalling is a great way to maintain this. It’s considered usual for a mage or witch to keep a “magickal diary” or “Book of Shadows” and that’s not just an archaic tradition but an important tool in conscious development work. Although we will all have tendencies to natural talents and magickal skills that become more powerful as we take the journey to Self-Realisation, it is possible to enhance them. It’s a case of working to develop the natural skill without creating any imbalance in the energy body. Imbalance is often what restricts attempts for spiritual development. So it’s something that can be assisted but can’t be forced. So you need to understand that you’re assisting a natural process, not trying to artificially harness a “supernatural” one. One of the main hindering factors in the process of Magick (which is the journey to Self-Realisation) is created when people enter into a phase of “looking for results”…where they are looking for external validation of an internal process and get into a habit of not looking further than that. They msy lose perspective and though they may manifest some skills in (for example) psychic awareness or aura scanning, their energy becomes unbalanced because it’s not properly grounded and the ego is dominant in the consciousness. It may seem you’re making progress but then you hit a wall. And a change in your methods of development is needed. These are phases that all people go through – they are part of a progressive journey. But at times where unbalanced development occurs, the block it creates can have unwanted side effects on other levels. Sometimes they can be hard to recognise until they are at a harmful level. And the ego tends to try to deny them as if they are a personal flaw. Most commonly people notice they have developed a tendency to be oversensitive to the negative energies of others and think that’s a sign of their advanced intuition. It’s really not – it’s a sign of being ungrounded. But where ego consciousness has a loud voice, it can be a time where the aspirant really needs to study their motivations if they are to progress. If an unbalanced energetic state is maintained for a prolonged period, the person may even experience physical health problems from deficient energy in some areas and too much in others. The process of journalling can be very useful in identifying these things. It’s important to take care not to pin all your health experiences (physical, mental, emotional or spiritual) on energy imbalance…sometimes it’s completely the other way round; a physical or emotional problem creating an imbalance on an energetic level. So any issues should be addressed on all levels. Other symptoms that can manifest if there’s a lack of grounding are tendencies to overeat, over exercise, even to abuse alcohol or drugs – in an attempt to “ground”. Such strategies may even seem to work temporarily but they are not a solution. They will always become a hindering factor. It can mean you seem to take one step forward and two steps back every time you make a conscious effort to “advance” in spiritual or magickal sense. But don’t lose heart! This is a natural part of our development consciously – we learn by our mistakes essentially. But we only learn if we admit there’s a problem and seek a solution. Understand, you will advance naturally. Growth, progreass and evolution are the natural order of things. Assisting the process isn’t the same as forcing the process before you’re equipped (mentally and emotionally) to do it safely. There are some yogic techniques criticised for forcing the process and causing problems. Intensive meditation practices can seem to do the same. So keep writing it down. Condensing your experiences and intentions into words is an important tool and can prevent the pitfalls of those actively pursuing the magickal path. There are a number of magickal and energy healing/meditation options I provide for people who find themselves – they can facilitate development, teach new techniques and assist you in your spiritual goals. It’s a very important part of my practice as both a Mystic and a Witch. The Killing Moon Karmic Reversal 30 Day Ritual Intensive is an important option for releasing you from hindering elements. That’s why reversal workings in general are often useful even as a preliminary preparation for development work. The intensive is like a powerful healing in fact; helping to release you from those things that are impediments to your development. Often these may be attachments you have formed to situations or memories that you’ve actually outgrown but haven’t consciously accepted that so some element keeps you connected to them. Restrictive lifestyle habits or belief patterns can also be a big part of what we perceive as the hurdles that hold us back. As I said, often Magick is a process of “cutting the crap” and that’s why this particular working is so effective and important. The LightBody Activation Initiation Intensive was designed specifically for rebalancing and allowing a full expression of your psychic skills – it also has a balancing effect and may manifest deep spiritual healing. 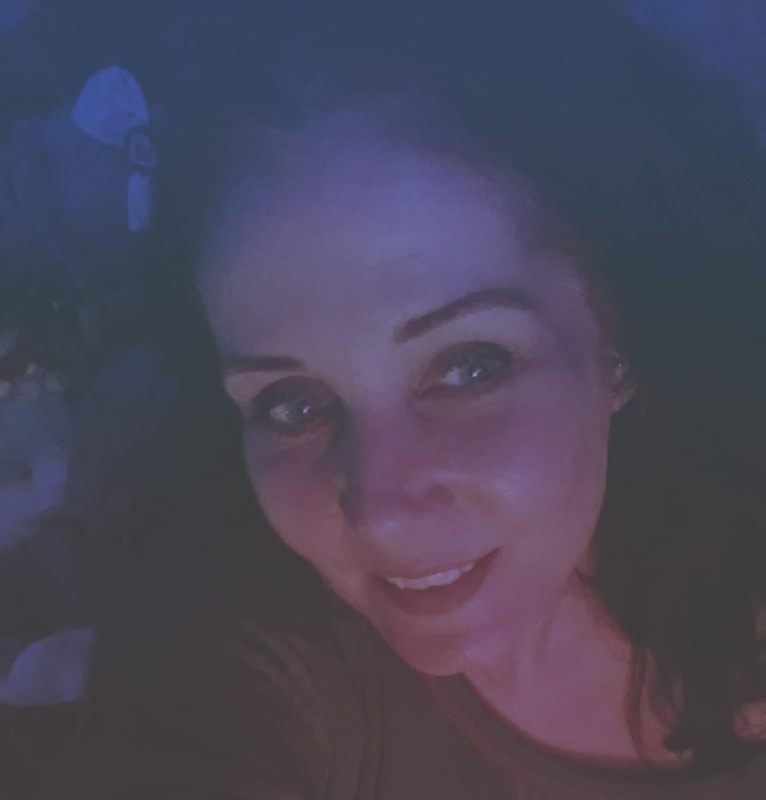 I would recommend anyone serious about the development of psychic or magickal skills to practice daily meditation and journalling as essential to maintain higher consciousness and objectivity. There are number of courses I would recommend for this: The Avalonian Trilogy, Kundalini Reiki and Elemental Pentagram courses are all good options – not just for maintaining balance; conscious actions align you more fully with your intentions and facilitate growth in ways that a passive “wishful thinking” doesn’t. Intention is all important but acting on your intentions resolves problems of inner conflict and makes the process more effective. You can’t get serious about using magick if you don’t want to be serious about your commitment to manifesting your higher will. If you think a spell is a short cut, it w3ould only ever manifest as a “quick fix” with limited or short lived success, because your consciousness simply wasn’t in alignment with your intention. If you’re at odds with yourself, you pretty much undermine your own progress. So I say again…keep a journal. It’s an indispensable tool in maintaining your perspective. The ego often makes demands for “power” or “control” that people misinterpret as a “calling”. And very simply, if your “success” or “satisfaction” is centred on the external validation of your intentions, they are not really intentions but base desires or demands originating from the ego. Ultimately they will hold you back – and at the same time may inflate your belief in your own proficiency, importance and sense of “power”. The illusion of ego based definitions is the biggest opponent to your higher will. If you’re sure you’ve achieved balance and eliminated hindrances and that your intentions are motivated by your higher will, then the Goddess Aradia Tantric Shamanic Ritual with Divinity Assumption can be tailored as a personal initiation. It allows you to be consciously involved in the process of the ritual and to align more fully with your personal and spiritual goals. So it can be used to enhance the talents or skills you have. The process is simple and available to anyone, whatever their proficiency. It’s also safe and I make the process as accessible as possible for serious seekers. The Aradia working can even be specifically tailored to increase your ability in divination, energy work or clairvoyance – any expression of those natural skills that manifest as we develop spiritually. But a balanced base allows for a more powerful experience and more profound change. Hence my emphasis on Karmic Reversal. It levels the playing field so change manifests more quickly and fully and permanently. A process of regular Tantric Shamanic Rituals with Divinity Assumption Channellings can be a great way to work towards your ascension goals.